The term “autopsy” derives from the Ancient Greek autopsia, “ to see for oneself”. A private autopsy is quietly and respectfully conducted in the funeral home according to a strict routine that resembles a surgical operation. 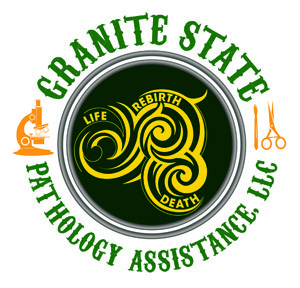 Board certified Pathologists and or certified Pathologists’ Assistants are utilized in the autopsy process. Its purpose is to learn the truth about the person’s health during life, and how the person really died. There are many advantages to getting an autopsy. Even when the law does not require it, there is always something interesting for the family to know. In doing 1000+ autopsies, since 1982, I have always found something worth knowing that wasn’t known during life. Giving families answers to clarify unsettling questions is one of the most satisfying things that I do. As the remaining questions resolve, family members find it easier to let go and more able to look to the future. At least a fifth of autopsies reveal a cause of death other than was known to clinicians. In “routine natural deaths” in England, 34% of the time the process that was believed to be the cause of death prior to autopsy was completely wrong (J. Clin. Path. 61: 124, 2006. Consistent with my own professional experience, more than a quarter of autopsies reveal a major surprise other that the cause of death (Am. J. Clin. Path.129: 102, 2008). Even in super-health-conscious Switzerland, which is overzealous with state of the art imaging and easy biopsies, the rate of major errors during life is still 7% (Mod. Path. 25: 777, 2012). If the family prefers, a private independent autopsy can be conducted in the funeral home. It does not matter much whether the body has been embalmed first. If there will be a delay (beyond 3 days) between death and autopsy we highly recommend embalming for preserving body tissues that translates in optimum microscopic slides for diagnostics. Whoever does the autopsy, there should not be a problem with an open-casket funeral afterwards. This is true even if the brain has been removed and the deceased is bald. The scalp incision mark is not noticed due to the cosmetology techniques and the pillow the funeral director uses. If autopsy is not required by law, the legal next-of-kin must sign an autopsy consent form. Authorization for autopsy can be obtaining by telephone with autopsy staff and funeral director participating in a three-way conversation with written documentation on the autopsy consent form. However, I prefer the autopsy consent form to be signed by the legal next-of-kin but I have accepted telephone consent under specific circumstances. In over three decades, I have never known a family to be sorry they decided to have an autopsy on a loved one. Even in cases where no significant findings came about, the negative aspect turning into positive findings for the family to resolve questions. Most religions allow autopsy. If the body is that of an orthodox Jew, I welcome a rabbi present to offer suggestions. Many Muslims prefer not to autopsy. If you have questions or concerns, check with your own religious advisor.